Climate hopping is the new island hopping. When it comes to planning a vacation, there are a lot of choices to make. Do you want to plop on a beach with a cocktail or explore a new city? Do you want to find local places to eat or be served poolside? Do you want to go someplace warm or someplace cool? Well, the fire and ice vacation trend may be the answer to the indecisive traveler's prayers. With a fire and ice trip, you begin in one climate and end in another, allowing you to experience the best of both worlds. “When traveling, getting away can sometimes feel like you’re compromising. Snow-sports enthusiasts can feel torn over being able to get in slope time, but also wanting to relax and unwind at more than just an après ski experience. It’s not uncommon to want to return home with a more complete glow, not just a goggle tan,” Kelly Luf, general manager of Travel Associates, told Travel + Leisure. When it comes to creating a fire and ice trip, travelers with more time can select two entirely different destinations to visit — such as Montreal and Bermuda — or those looking for a quicker and more affordable option can look to one country (or even one state) that's home to varying climates. “Iceland and Patagonia both tout themselves as 'fire and ice' destinations. A traveler can choose to have two different climates and related activities/resorts within the same singular vacation,” Luf said. Looking to take a fire and ice trip? Here are some locations Luf recommends checking out. Argentina offers the most extreme type of fire and ice trip. Travelers can enjoy warm weather and endless culture in Buenos Aires, wind down at the beaches in Mar del Plata, go skiing in Patagonia, and even extend the trip with a cruise to Antarctica. Just remember the seasons are reversed, but ski season extends all the way into October in Patagonia, while temperatures at Mar del Plata are still mild. 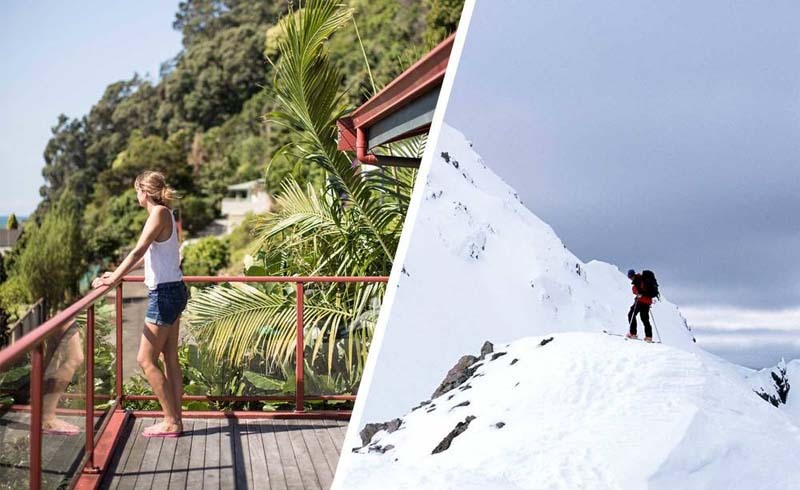 “If you’re someone who is looking to ski or snowboard down the mountain in the morning and then watch the sunset bobbing on a longboard in the ocean, then New Zealand is the perfect destination for you,” Luf said. Just a two-hour drive stands between both climates and gives the action-sports aficionado the opportunity to choose their plans based on optimal conditions and weather. 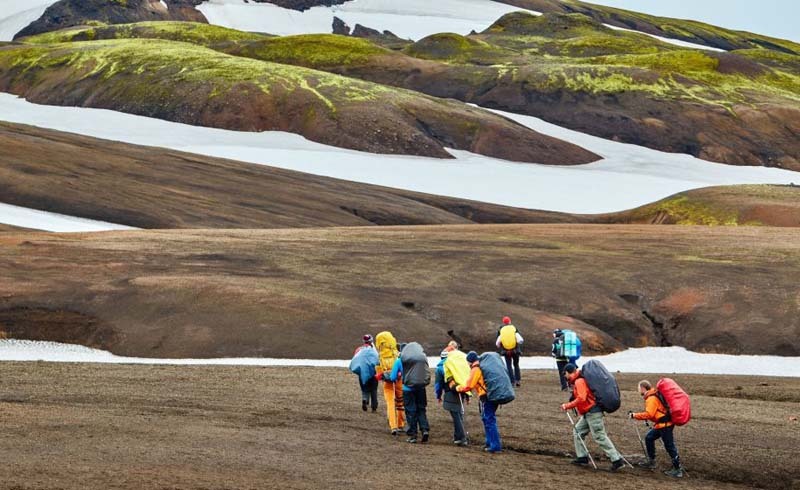 Iceland has something to offer the cold-fearing spa lover and the daring glacier climber alike. In the same trip you can bathe in a hot spring, explore an active volcano or an ice cave, and go snorkeling and whale watching, explained Luf. Travelers looking to enjoy a fire and ice experience stateside should consider California, home to both snow-topped mountains and dry deserts, Luf noted. “Big Bear Mountain is only two hours from Los Angeles and offers great winter sports. You can finish your trip with a Malibu Wine Safari and a stay on the beach at the Casa del Mar in Santa Monica,” she said.